Duck fans are invited to dress up like its game day to celebrate the incoming class of University of Oregon football players. The UO’s annual signing day event, featuring a social hour, silent auction, hors d’oeuvres and coach’s presentation, will take place at 5:30 p.m. Feb. 6 at the Nike headquarters in Beaverton. 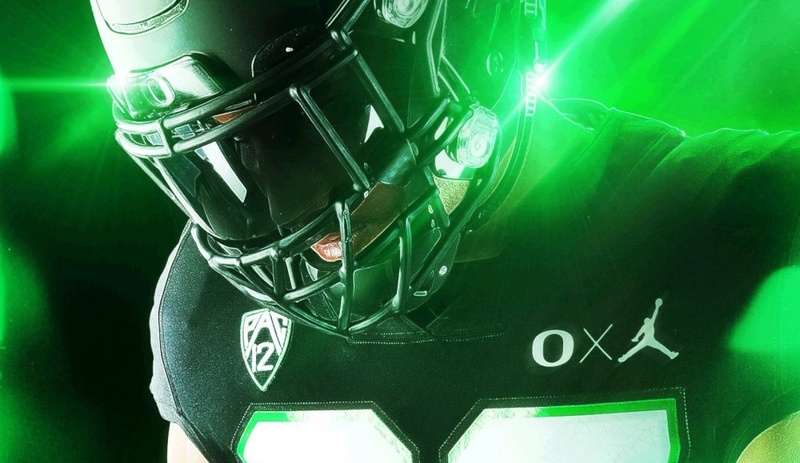 During the presentation, Duck head football coach Mario Cristobal plans to update the audience about the team and highlight a few of the new recruits, and several alumni are expected to share stories about their own football careers beyond the UO. “People are excited about the opportunity to mingle with coaches and Ducks playing professionally in the NFL,” said Andy Sigler, senior associate director of development for intercollegiate athletics. Sigler said the 2019 football class is the UO’s highest-ranked incoming football class ever. A number of outlets rank each incoming football player in the NCAA, and ESPN currently ranks the UO’s newly recruited class in the top five. Co-hosts of the signing day event are Neil Everett, UO alumnus and sportscaster for ESPN, and Jerry Allen, the UO’s play-by-play radio announcer for the past 32 seasons. The event is open to the public, and each ticket includes food, beverages and the opportunity to participate in the silent auction. In the past, all tickets were sold for one price, but to make the event more accessible and affordable, the university is offering a range of tickets this year, including balcony tickets for $50 and mezzanine tickets for $100 each. Participants can register online or contact Duck Athletic Fund Portland at 503-412-3684 or portlanddaf@uoregon.edu.